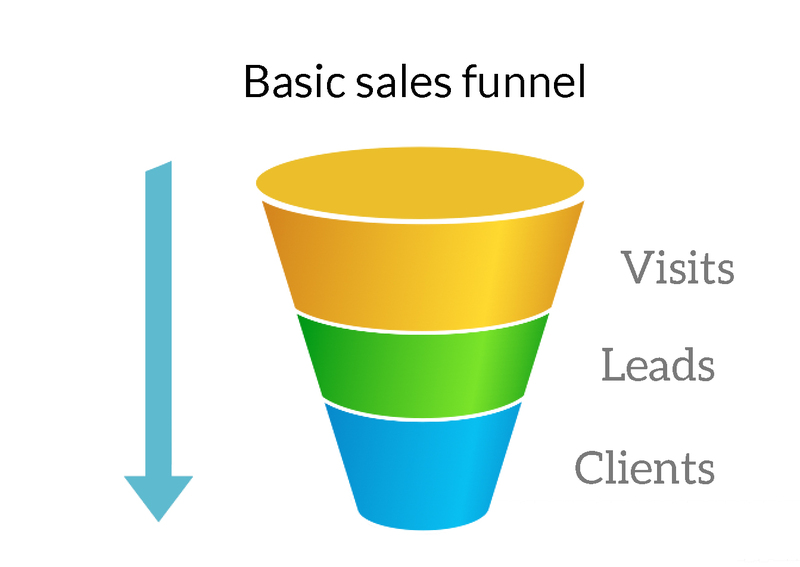 A basic concept that any e-commerce has to deal with on a daily basis is the sales funnel. We usually see it, analyze it, and tinker with it, but is it effective? Let’s take a second and find out if my sales funnel really works. At the same time, we can look at a couple of tips for improvement because the first thing to think about in terms of conversion is being able to direct a customer wanting to make a purchase to the right area of the store. Why is it shaped like that? Obviously, it’s due to the fact that the number of components in each segment keeps decreasing (assume we capture 100 visitors, 60 of whom are leads, 25 are customers, and so on). 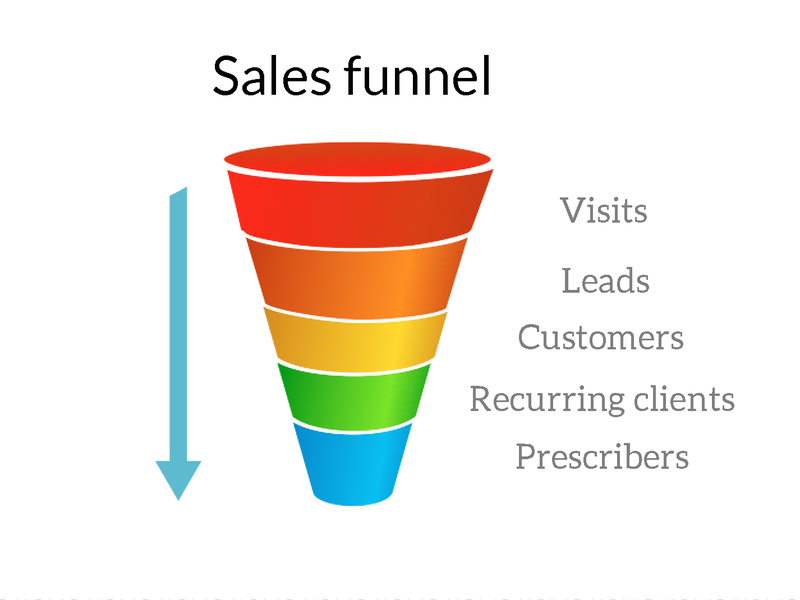 How do you analyze a sales funnel? The first thing to do before facing any type of analysis is to correctly define the KPIs or key indicators. What and how much do you expect from each segment? It’s important that you quantify the indicators; in fact a KPI without a corresponding value shouldn’t be called a KPI. A good way to define KPIs is to base them on where users are on the customer journey, making sure to look at the shape of the funnel because that will tell us what to do. This is the segment that starts at the moment of capture and extends to the actual visit itself. It’s the phase where the customer hasn’t taken an interest in our proposal yet, the classic, “I’m just looking”. Concentrate on things like the source of traffic and analyze how much each channel is contributing, then decide how you want to proceed. Bad capture strategy: Are you investing in the right media? Implementation problems and capture strategy performance: Do the campaigns work? Do they point to the correct URLs? Have they chosen the appropriate keywords and locations? Segmentation failures: You may have carefully chosen your media mix and you might have the best ingenuity but continue to not get visits. Are you sending your message to the right audience? We’ve arrived at this point and you’ve managed to translate your visitors’ interests in generating leads, but there is still a long way to go. Luckily, you have good raw material to work with: qualified contacts. Keep an eye on classic metrics but try not to focus only on the number of new contacts or the percentage of visits that go from being leads to customers. Take a look at what your business needs are, translate them into numbers, and set your goals based on those. When we were talking about the “visits” segment we referred to the importance of channels. The “leads” segment can also help you make strategic decisions to see how each one converts. For example, if your organic visitors have a higher conversion rate in leads than in social networking, you may have to focus on increasing your organic uptake rate. In the end though, everything is interrelated. It’s also interesting to stop and look at the performance of individual pages and specific landings. Sit down with Analytics and verify which conversion figures are offered for contacts on different pages of the site. When this is clear, you’ll be able to know what to expect from each one as well as the ones you should boost, which will give you material for A/B testing. A value proposal that doesn’t make sense: Sometimes capture works by using an argument that isn’t reflected on the landing page later. We effectively make the user lose track of what brought them to our site. Accessibility issues: It seems obvious, but in reality it’s more common than it seems for forms to work incorrectly or the phone isn’t seen, especially with mobile phones. Lack of persuadability: Are you sure the best calls to action are being used? Are we using social proof correctly? Do we provide security? What we ask for and what we offer is disproportionate: Are 25 fields really necessary on this form? Can you give me a 3% discount instead? The key to everything in the end is that all previous efforts are focused on achieving purchases, both single and recurring. If everything went well in the “visits” segment and the leads were followed correctly and at a good pace, we should have a handful of closed clients. In this case we also have to measure everything from the average ticket, to purchase recurrence, to any other need your business might have. I stress the importance of your business because internal research plays a big part here. In the end, nobody can tell you better than your own data and the knowledge you have of your company / the sector what is the most valuable. Perhaps what you need is to act on customers who make more purchases of lesser value or the purchases made from a mobile phone because the average ticket is bigger. If the segments from the previous areas are normal but this one is narrow, we’re not making sales. Reasons? Business problems: from an incorrect pricing policy to a lack of competitive advantage. Monitor your competition and see where you are in comparison to them. You’re uncertain about your advertisements: They’re policies that need to be reviewed, especially at the beginning and particularly regarding potential leads that you want to become eventual customers. Does everything work? Make sure everything is resolved at the technical level, especially the buying process since it’s the most sensitive. It has to be safe, with a variety of payment options, the POS terminal of course, along with others.